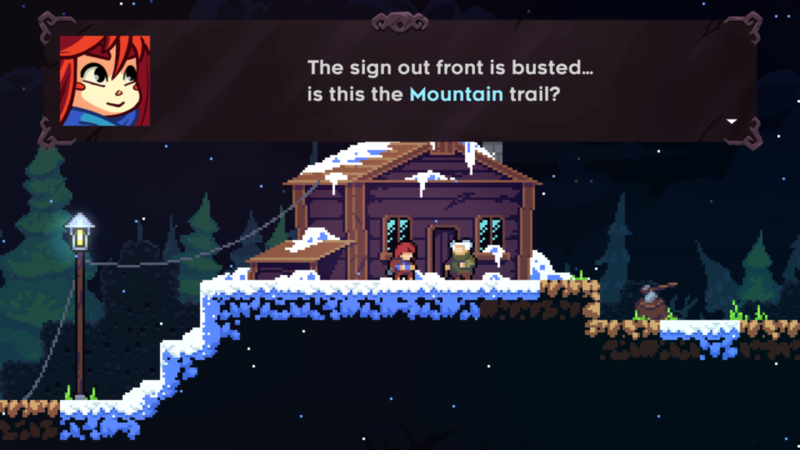 Celeste’s emphasis on universally human themes elevate the game to tremendous heights. It’s rare that I find myself getting emotional during a story. My stoic personality generally deflects the manifestation of physical emotional reactions to movies, books, poetry, and, yes, video games. 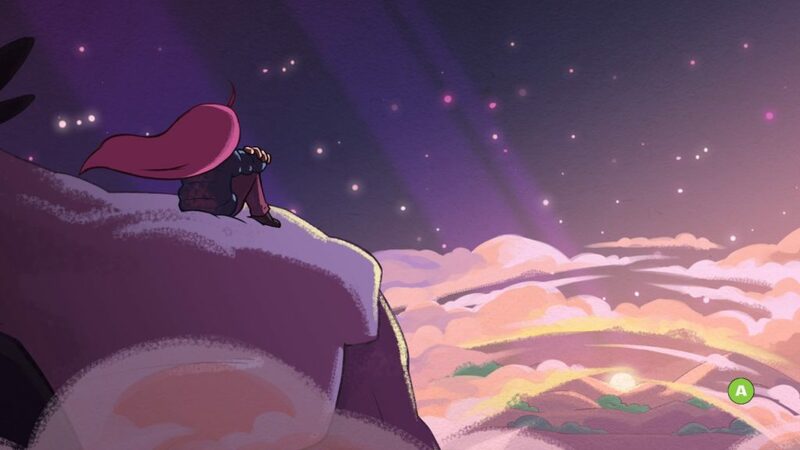 Yet halfway through Celeste’s brief but powerful journey, my eyes started to water. 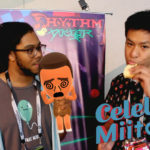 The game tackles so many of life’s struggles, especially anxiety and depression, in creative and mature ways with sharp writing, likable characters, and confident gameplay mechanics. 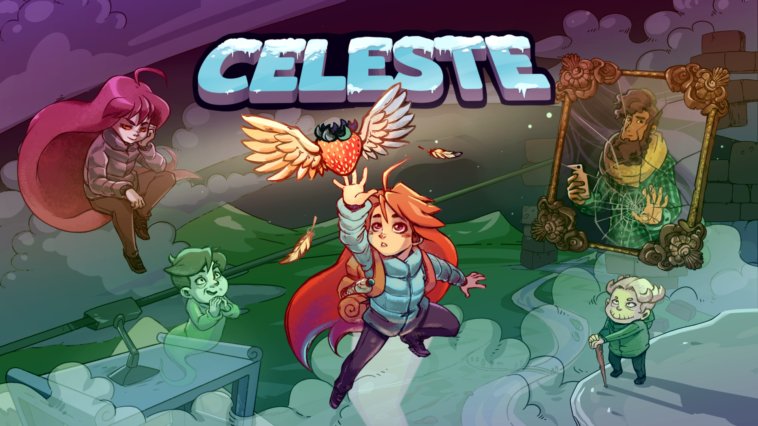 SPOILER WARNING: This article contains extensive spoilers for Celeste. Read at your own discretion! 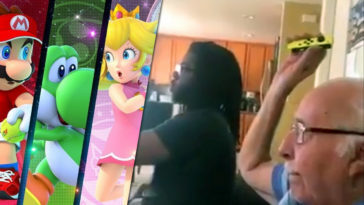 Players take control of a young woman named Madeline who has resolved to reach the summit of the fictional mountain Celeste by herself. During the ascent, she encounters threatening spirits, tumultuous and dangerous terrain, and the mountain’s reality-warping powers. Madeline’s motivations for putting herself through this life-threatening ordeal are relatable to anyone who has ever felt overwhelmed by the general weight of living: to prove that she has the strength to do it. It’s this pluck, her awareness that she is pushing against her own mental and physical barriers, that immediately endeared me to Madeline. Her past is teased out bit by bit: a broken relationship that continues to plague her confidence, a monotonous progression of life that she numbs with drinking, and a fragile mental state that threatens to crack at the worst times. Unlike most flawless heroes in games, Madeline is dealing with fundamentally human struggles, just like the rest of us. Her biggest foes aren’t obstacles outside of her, but the mental blocks she puts on herself. She is at once deeply flawed and, in a sense, weak. Yet she is also funny, innately kind, and charismatic in her own reserved way. She is strong not because she never struggles, but precisely because she does struggle. She just never gives up, and that is a quality we can all aspire to develop. Madeline’s most persistent obstacle in her ascent to the summit is literally her fear and self-doubt, physically manifested as a shadowy version of Madeline by the mountain’s magical properties. Conventional narratives would name this manifestation as “Evil” or “Dark” Madeline. Fortunately, the developers of Celeste understand that the world is not nearly this black and white. Madeline’s other half is not trying to hurt or kill, but rather protect. It’s the self-doubt that she will not succeed that tries to keep away the hurt of failure, the fear of death or bodily injuring that wants to keep her safe. It’s that Other voice in your head, the critic/past-self/future-self. Whatever/whoever it takes the shape of, we all have experience with how harsh this inner critic can be. 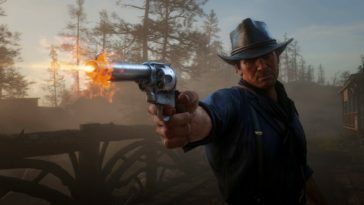 Recontextualizing this “dark half” trope is a wonderfully brilliant move by the game’s writers, but they don’t stop there. 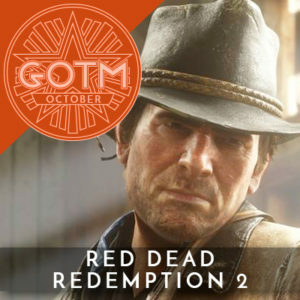 About two-thirds through the game, after the newly manifested fear has pushed Madeline through several harrowing difficulties, she approaches her other half in an attempt to let her go. “It’s okay, I don’t need you anymore,” she essentially says, triggering the most mature moment I’ve ever seen in a video game. Her fearful-half becomes enraged, throttling Madeline and hurling her down to the very roots of the mountain, far below where the game began. Madeline’s attempt to “let go” of her other half doesn’t work, because that’s not how it works in life. It’s a mistake to think of this critic as something outside of yourself, something that can just go away to make everything in life better. That’s not what moving past fear actually looks like even if we want it to. What’s most heartbreaking about this is that it occurs at the height of Madeline’s confidence. She is on the verge of reaching the summit and she approaches her other half believing that she is truly ready to move on. This is something I have tried to do as well, to compartmentalize myself into *this* aspect and *that* personality trait, then pick and choose which ones I want moving forward. 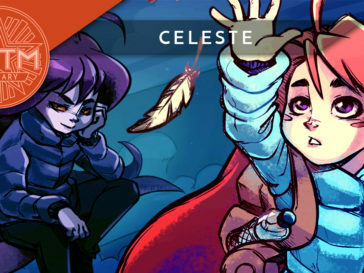 It never works, and Celeste’s depiction of this very real human desire to just feel better by flicking a mental switch is heartrendingly visceral. 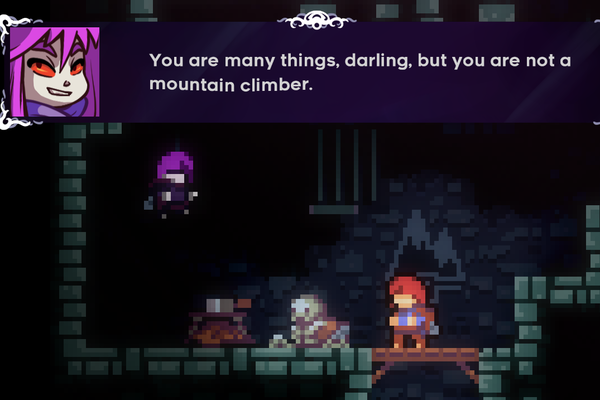 Of course, this is not how Celeste ends. 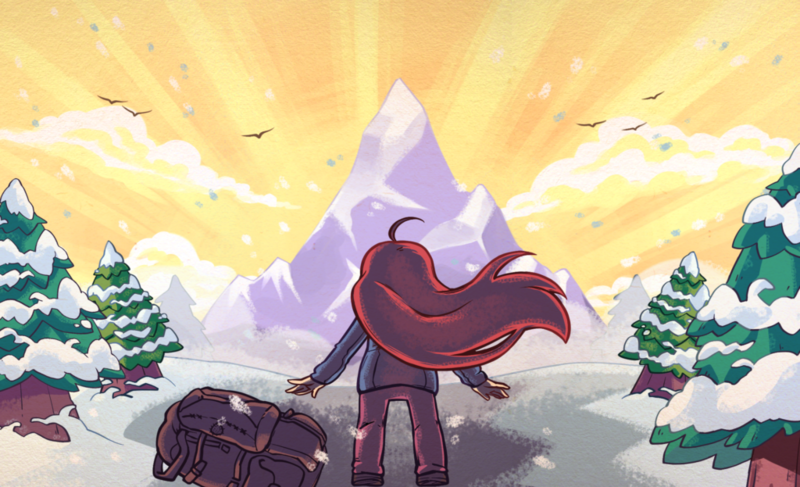 As dejected as she is, Madeline picks herself up from her fall and starts progressing back up the mountain until she encounters her other half once again. 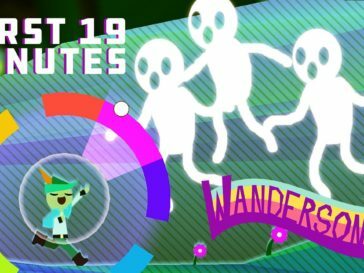 The conflict that ensues is a tense set of platforming challenges that ends with Madeline’s fearful self on the verge of tears, ready to just go away like Madeline wanted. It’s at this moment that Madeline learns to forgive herself. She realizes that this other half is a part of her, one that she hasn’t treated fairly. Rather than trying to send it away, Madeline instead asserts that she wants them both to work together, to become whole. Hesitant, the other half remerges with Madeline and the two begin ascending the mountain, this time working together rather than against each other. What follows is not only a brilliant encapsulation of Celeste’s gameplay mechanics but an empowering exercise in what true confidence feels like. Throughout the entire game, Madeline’s primary method of evading the various traps and pits has been an air dash, usable only once while in the air. After reconciling with her other half, however, she can now perform two dashes in mid-air. 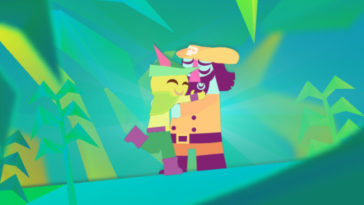 By doubling Madeline’s abilities, her newfound confidence is expressed not just in the narrative, but through the direct communication of gameplay. Though the challenges are even more difficult, this simple change makes the player feel like anything is possible. 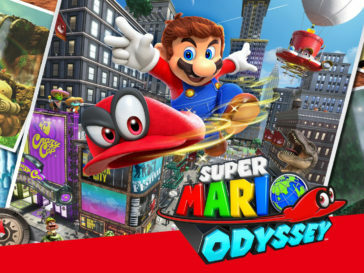 The platforming tasks become much more fluid and fun in a way that the earlier challenges weren’t as Madeline soars through the air, performing inconceivable feats. 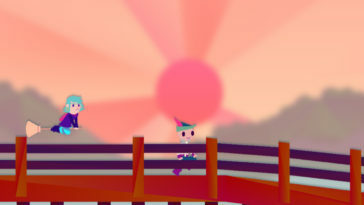 The player’s confidence mirrors Madeline’s as they rush up the mountain at an absurdly breakneck pace. Once Madeline’s fear and self-doubt are put to work in service of her goal, the game’s true obstacle is removed and replaced by an exhilarating sense of freedom. 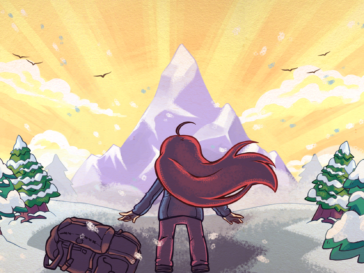 In Celeste, the Mountain is a symbol for Madeline achieving something other people, and even part of herself, thought was impossible. For the player, it’s a metaphor for any type of struggle. Regardless of where you are in life, it’s easy to ascribe your own “Mountain” to Madeline’s journey. 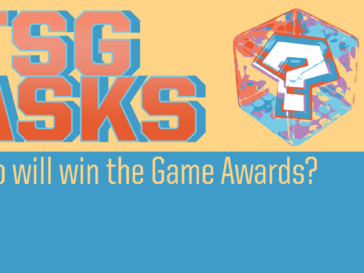 This results in a deeply personal experience that will have different points of emphasis for each player. I saw myself reflected in Madeline as she pushed through her ordeal. Pursuing that burning desire to challenge herself, even when she felt like she was at her lowest point. Watching her fail to assuage her inner critic just like I have. Picking herself up after having her dream all but crushed right on the verge of reaching it. I even saw aspects of what may lie ahead for me, like the reconciliation of disparate identities and the calm reflection after passing through an impassable obstacle. Celeste is really about the everyday struggles of just being human. It brings up important questions about how we grow as individuals, how we deal with stress, and how we manage to be kind, even when it’s hard. 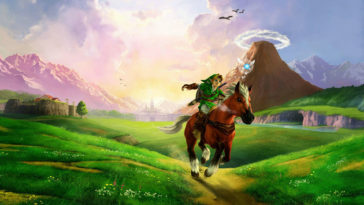 Yet the story never cheats its way out of these difficult questions like so many other video games, movies, and books do. It answers them with confidence, maturity, and optimism. 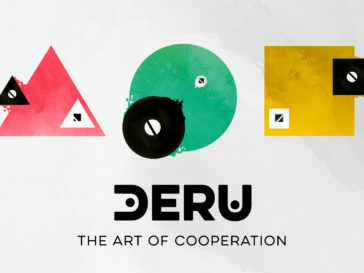 It’s an uplifting experience about life, relationships, and personal growth, and I’m sure I will be learning from this game for the foreseeable future. 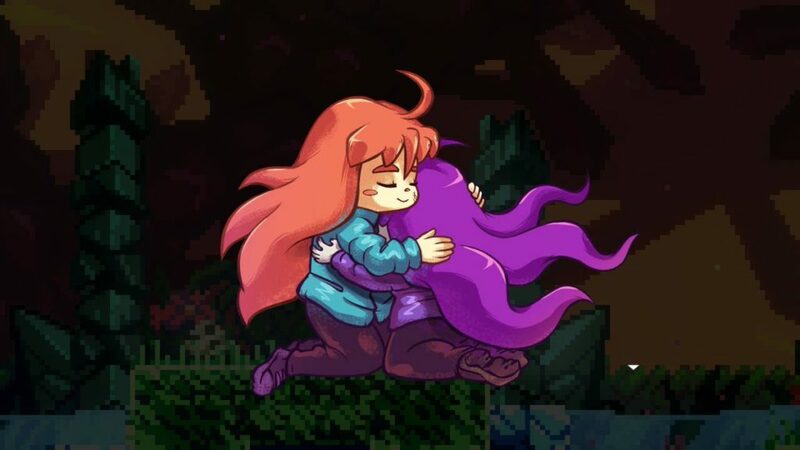 If you haven’t already, go play Celeste. 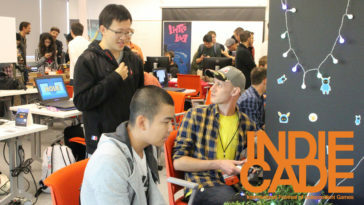 It’s one of the reasons you should care about video games.